In 2009, the J.J. Abrams demo reel for Star Wars reboot of the Star Trek franchise came to the big screen, with a new cast portraying characters that fans had grown to love over the course of forty plus years.There were definitely some mixed reviews on this, and I know I wasn’t that excited about it at first, but people were able to squint through the lens flare and, for the most part, enjoy a fun film. Star Trek Into Darkness came out in 2013, and due to a weird adherence to an alternate Khan story line, was still enjoyable. My thoughts on both Star Trek and Star Trek Into Darkness have both been listed in previous Movie Monday posts. Now, just in time for Star Trek’s 50th Anniversary, we have the latest installment in the recently coined “Kelvin Timeline,” Star Trek Beyond. 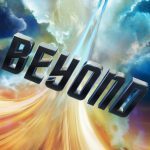 Star Trek Beyond is set three years into the U.S.S. Enterprise’s five year mission. During a resupply run at the newest Federation Starbase, the Yorktown, they are recruited for a rescue mission into an uncharted nebula. Here, they are attacked by an unknown species that destroys the Enterprise, scatters the crew on an unknown planet, and puts them at the mercy of Krall, a creature that has a strong dislike for the Federation. If you haven’t seen it yet, here’s the trailer for the movie. As I mentioned earlier, this is the third film in the newest timeline of the series, the “Kelvin Timeline.” It’s called this because Nero’s attack on the Kelvin in the 2009 film is what caused the divergence from the “Prime” timeline that everyone knows from the previous television series, and the previous movies. I enjoyed the first two films, but this one went beyond enjoying. The story had a definite Star Trek feel to it, with characters wondering if they’re on the right path, wondering if they’re doing the right thing, and a villain who is deeper than he originally appears. It was also not always the Kirk, Spock, and McCoy show, with members of the main cast getting their own important bits, though I do feel Sulu didn’t get as much as everyone else. Overall, the story was very satisfying, and kept me interested through out the film. The cast has really nailed their characterizations of the original crew. It could be that I’m used to seeing these actors in these roles now, but everyone feels like they have settled in nicely. Kirk has definitely matured over the past few films, and Pine plays that very well. Spock has some things he’s working out, as they touch on what it’s like being one of the few remaining Vulcans in the galaxy. Most of the other cast members were solid, with Bones being Bones, Chekov being Chekov, and so on. The supporting cast was enjoyable to watch, as well. Idris Elba as the antagonist Krall was a pleasure, as always, especially as you watched the film and learned more about what his motivation was. Sofia Boutella as Jaylah, the young woman from the trailer who sits in Kirk’s chair, was another great character, who has been surviving on this planet, which is occupied by Krall’s people, for years after watching her parents die imprisoned there. Finally, I always smile when I see Greg Grunberg in something that J.J. Abrams is attached to! One thing I really want to talk about is the treatment of the Enterprise. I don’t view this as a spoiler, because they show the ship getting chewed up by the alien fleet in every one of the trailers. Yes, the ship meets its end in this film. Now, it doesn’t have the emotional impact that the destruction of the Enterprise in Star Trek: The Search for Spock did, but we also haven’t known this ship as long as we knew that Enterprise. However, the sheer ferocity of the aliens tearing it apart, and the saucer spiraling towards the planet, was visually fantastic. Then, the later scenes in the film where they are visiting the wreckage is very well done, and really helps show the scale of the ship as the cast is running across the hull. Slightly related, visually, is how much I enjoyed seeing crew members in the windows of the ship, as they are panning across the outside. They weren’t just glowing dots of light, but ways to see the crew inside, doing their Starfleet things, or just walking down the corridors. 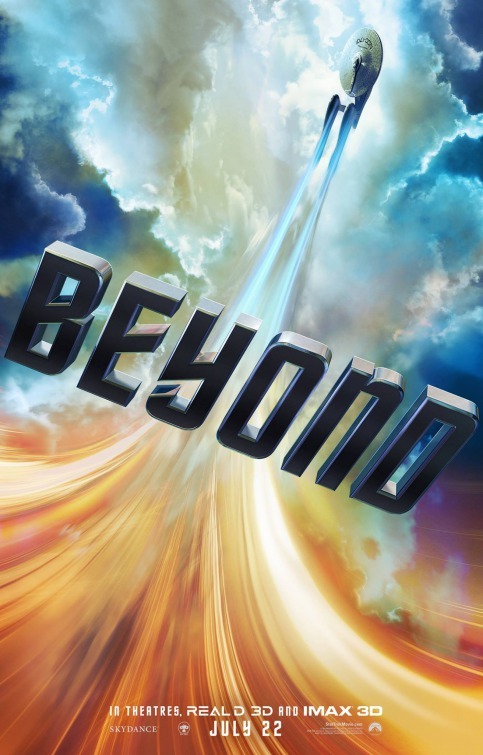 Star Trek Beyond was released this past weekend, and is rated PG-13 for sequences of Sci-Fi action and violence. It has a run time of 2 hours and 2 minutes, and the version I saw was in standard, non-IMAX or 3D. It really captures the feeling of Star Trek that long-time fans have missed in the more recent films, and it is a great addition to the film series, especially during the 50th anniversary of the television series. It is another film that I’m glad I have caught in the theater, and is right up there with the reboot of Ghostbusters as one of my top films this summer. Definitely give it a look! Grant should be back next week, as his run at Footlite Musicals ended this past weekend, and I need to stop spending money on movies for a bit!